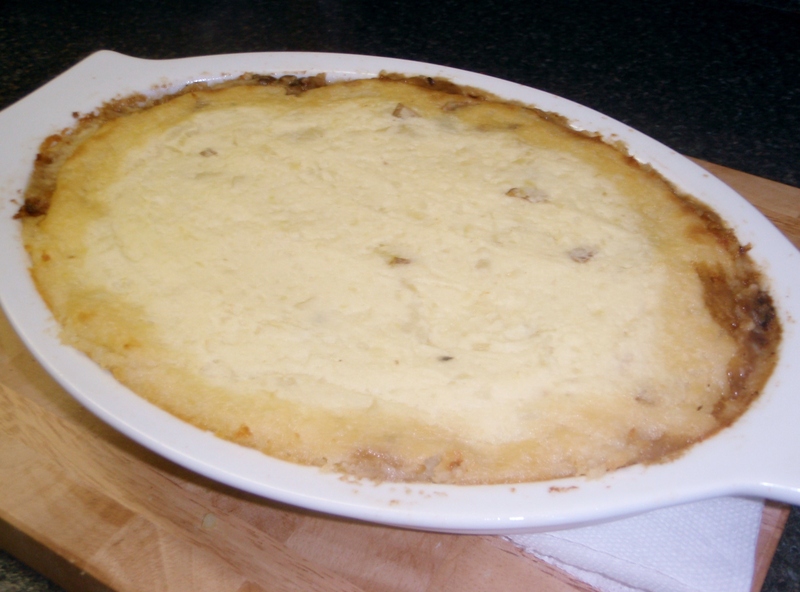 Guinness Shepherd’s (I mean Cottage) Pie! I see I have your attention. Still in the Irish spirit, I decided to make a Guinness Shepherd’s pie this week. I knew that swiping the last can of Guinness from my husband’s beer fridge would normally result in creating Mr. Cranky pants but I knew I would be easily forgiven once he knew it was repurposed for that evening’s supper… and a new pack would be nice and cold waiting for him in the regular fridge (Gotta keep’em happy). ..Yes, not the best photos I know but I’m working with camera phones and an Olympus Stylus 850 here. Remember, teacher’s salary = budget friendly camera. Moving on. 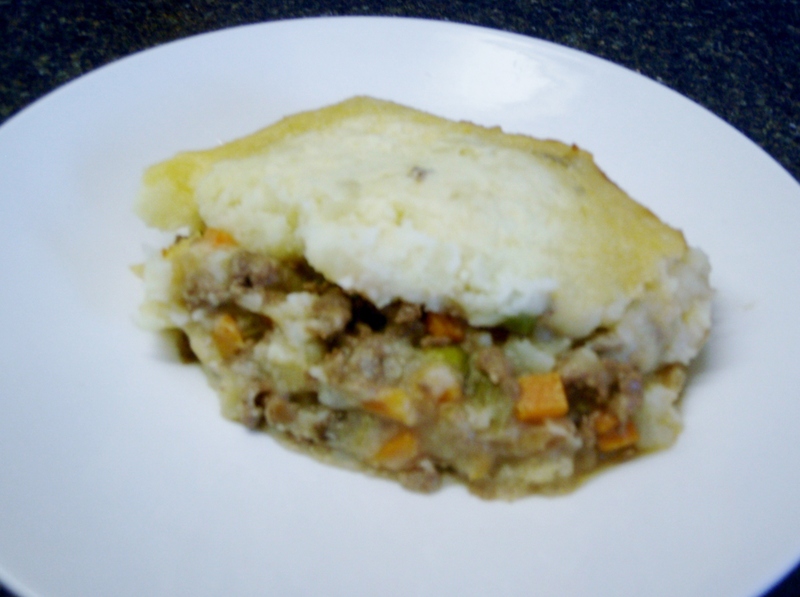 Shepherd’s pie is a meat pie with a potato crust. It is traditionally made with lamb or mutton and not beef. 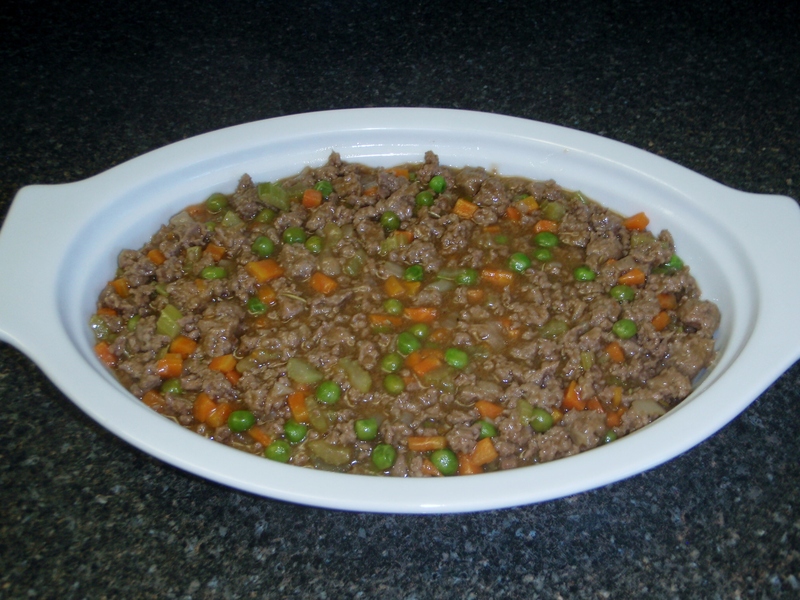 If beef or any other left-over meat is used instead of sheep meat, then it is referred to as Cottage Pie. …Thank you Wikipedia and Alton for the helping us know the difference. The Taste: The potato crust was slightly crisp when I cut right through it. As I scooped it with my serving spoon, I saw the dark rich gravy drip on to the plate and I immediately had to sweep my finger across it to taste it. ::insert big cheesy smile here:: The herbs danced around nicely in the pie and the Guinness added a delightfully complex flavor. Whether it’s Shepherd or Cottage, the outcome is superb. Check out the recipe below. While the potatoes are cooking, prepare the filling. Place the butter into a 12-inch saute pan and set over medium high heat. 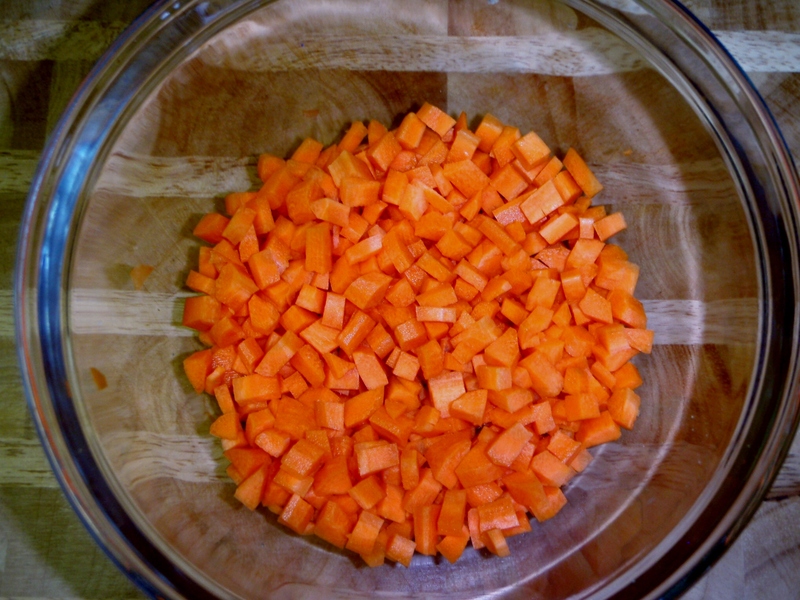 Once the butter shimmers, add the carrots and saute just until they begin to soften, approximately 2 to 3 minutes. 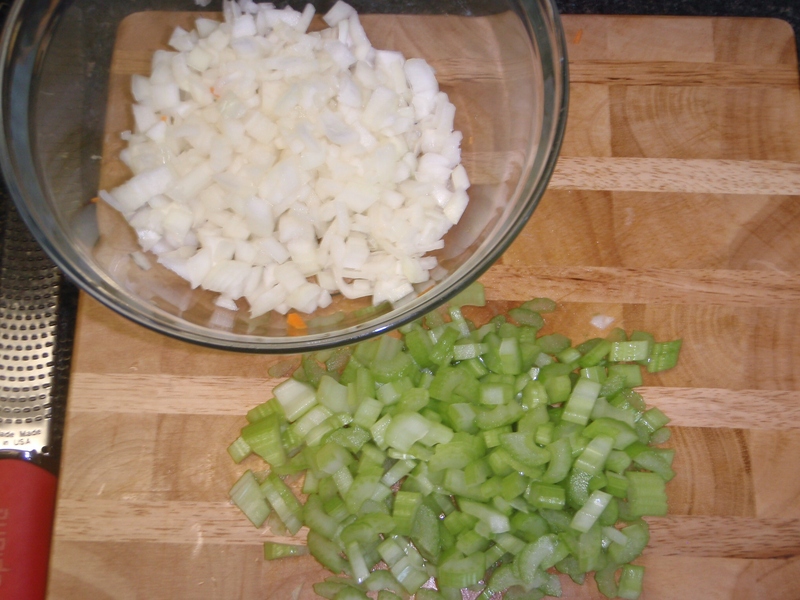 Next add the onions and celery and wait for the onions to become translucent. Add the garlic and stir to combine. 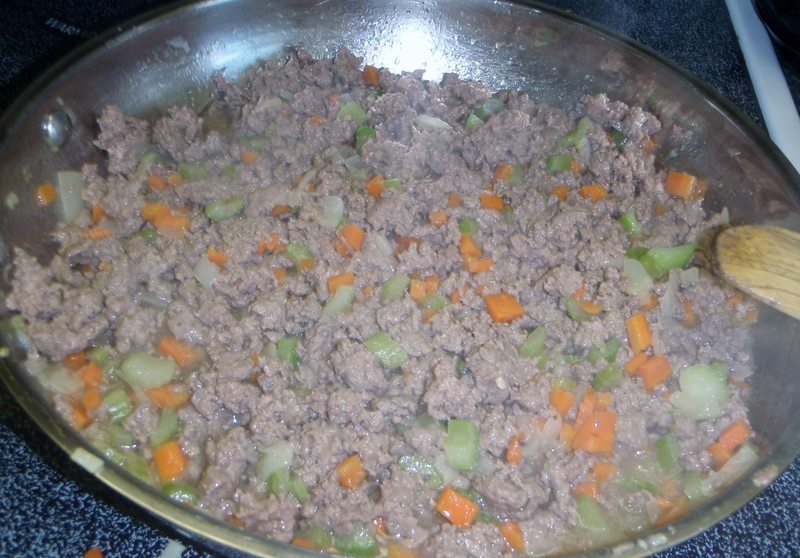 Add the beef, salt and pepper and cook until browned and cooked through, approximately 4 minutes. Sprinkle the meat with the flour and toss to coat, continuing to cook for another minute. Add the tomato paste, beer, chicken broth, Worcestershire, rosemary, thyme, and stir to combine. 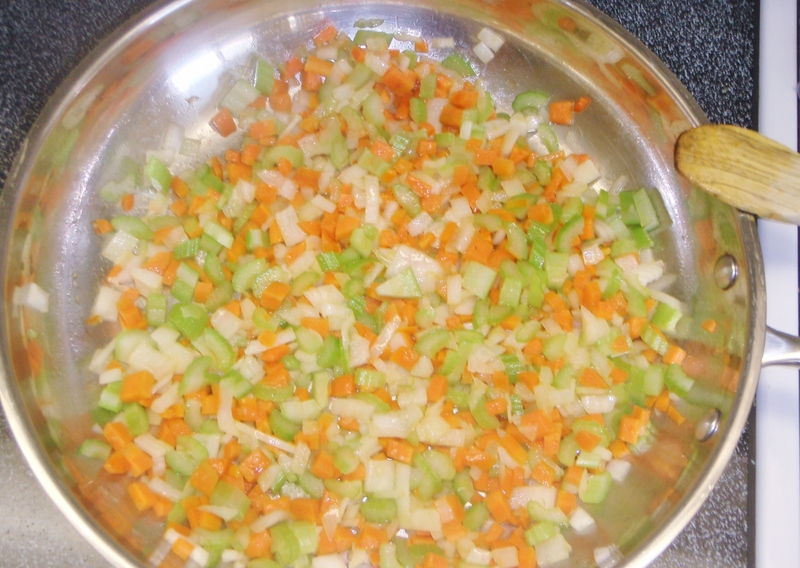 Bring to a boil, reduce the heat to low, cover and simmer slowly 10 to 12 minutes or until the sauce is thickened slightly. 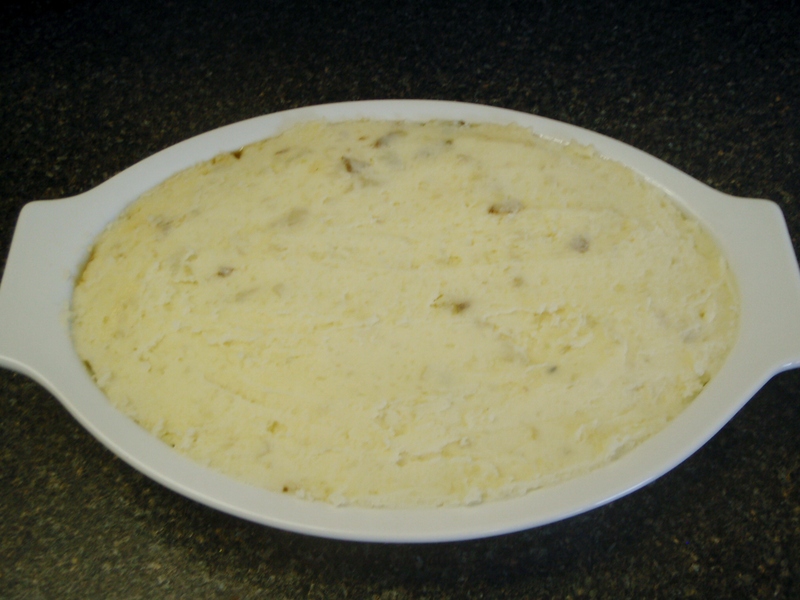 Add the corn and peas to the meat mixture and spread evenly into a baking dish.Top with the mashed potatoes, starting around the edges to create a seal to prevent the mixture from bubbling up and smooth with a rubber spatula. Place on a parchment lined half sheet pan on the middle rack of the oven and bake for 25 minutes or just until the potatoes begin to brown. Remove to a cooling rack for at least 15 minutes before serving. 1. Russet potatoes are nice and starchy and hold butter and cream well. They are great for baking and mashing. If you don’t have russets, a good substitution would be yellow or white potatoes. 2. Want to make it lighter? Use Fat-Free half and half or skim milk; use a lean meat (90/10); after cooking the meat and before adding the rest of the ingredients, drain the excess fat; use less beer and add more veggies; put a thinner layer of mashed potatoes. Doing some or all of this will bring the calories and carbohydrates down. 3.I underlined the use of a parchment lined baking sheet because even though I spread the mashed potatoes to the edges to create a seal, the delicious gravy decided to escape anyway. This resulted in hearing hissing sounds coming from my oven and having to clean a big mess. Thumbs. Down. 4. If you have leftover meat filling (as I did), use it to make quesadilla with and use some gouda or sharp cheddar cheese to put inside of it. Or, use it to fill empanada shells with. Deep fry. Make it light and bake in the oven at 350 degrees, 10-12 minutes or until golden brown. YUM! Before I leave you to go show that kitchen who’s boss, here is a little Guinness Beer fact goodie. Guinness has been referred to as the beer that “drinks like a meal” but infact it has only 198 calories per pint, which is less caloric than skimmed milk, orange juice and even some other non-light beers. Recipe adapted from Alton Brown, Good Eats: Oh my, meat pies episode, The Food Network. 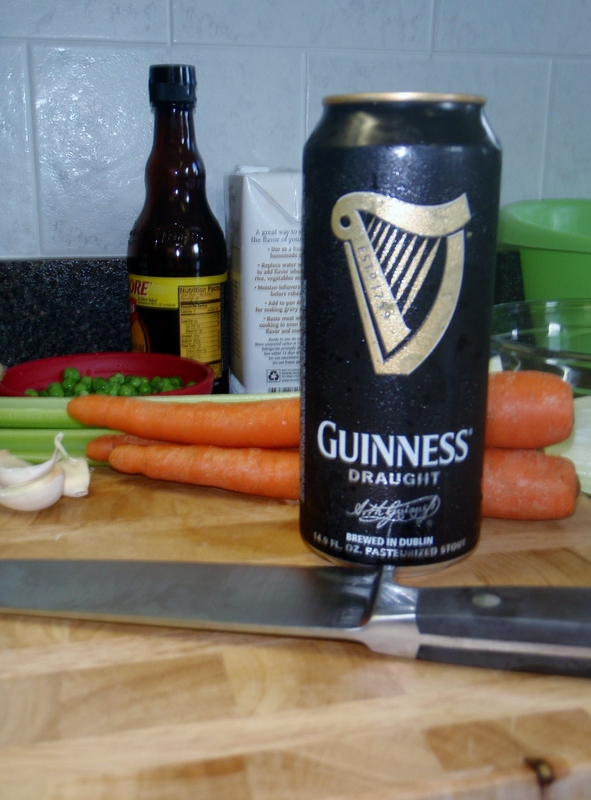 I’m not fond of drinking Guiness, but I bet it works great in cottage pie… Excellent idea!